I asked on Facebook yesterday afternoon if there was anyone among my friends who had read John Green's The Fault in Our Stars and wanted to critique the movie adaptation with me. Several liked the status update. One commented, "brainy," referring to my love for reading, I would assume. No one actually responded, even in private, that they wanted to do it. Shame, because it would have been my treat. I just settled for dating myself last night. Loved the camerawork especially the focus shifts. Shailene Woodley seemed more comfortable with this role than her Divergent one. Her voice reminded me of Emma Stone's, who I thought could have also done well in the role of cancer-stricken Hazel Lancaster. Gus' right leg stump did not look like a male genitalia! 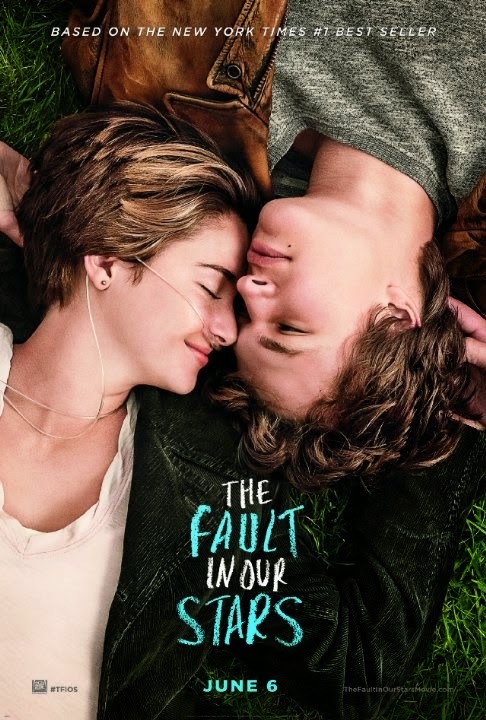 That was why there was a lot of giggling during Hazel and Gus' post-coital scene, right? I knew Hazel's mom seemed familiar! She was played by Laura Dern who portrayed paleobotanist Ellie Sattler in Jurassic Park. During their flight to Amsterdam I almost expected the Jurassic Park theme to start playing. Don't you just hate it when there's a sappy scene and everyone's supposed to be crying but you're just not moved to tears and then there's something itchy on your face but you just don't want to scratch it because you don't want to be thought of as wiping your tears by those behind you and those seeing you through their peripheral vision? And don't you hate it more when there's a sappy scene and you're seemingly the only one moved to tears? All in all, the movie was actually okay. The girls in the cinema—and this one guy at one point—overreacting wasn't. I had formed a rather conclusive theory on love, watching The Fault in Our Stars. It will have to wait until the next blog post, however. I am sleepy. Good morning.